Buy Guild Wars 2 2000 Gems for NCsoft Launcher on GGlitch.com | Fast, secure and easy! 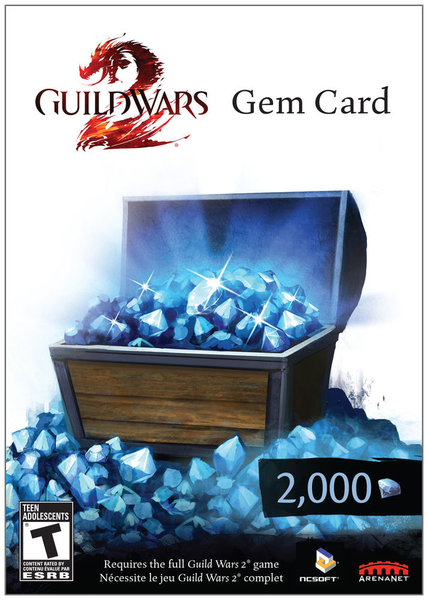 The gems are the second currencyin GW2 besides Gold. Gems can be traded directly for Gold and seen as Gold itself. With them you can also buy many different kind of items. This includes many specials like funny gimmicks as the Cow death stroke. Diverse fashion is available, means you can change your character even more individually. A great advantage in the game are the consumables. E.g. the Black Lion Key, which can open certain boxes that cannot be opened any other way.The same is true for Services and Boosts. With the Guild Wars 2 Gems you can order services, which add nice improvements or save yourself some time. For example the revival orb that can be used to resurrect yourself on the spot without having to walk all the way back to the action.Boosters on the other side help you leveling. XP boosts and magic find boosts for the item collectors. The might be only temporarily but are surely worth it.